Are you looking for wristbands for a festival, concert or event you are organizing? Then get started right away with our design tool! 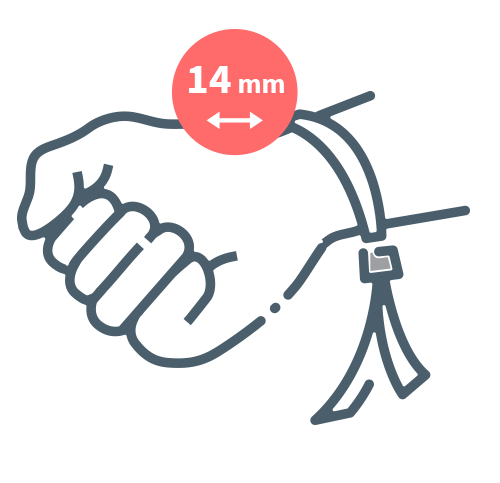 You can opt for 14 mm wristbands with a metal closure. (excl. pliers) Do you want an even more professional look and feel? Designing 25 mm wristbands with your own logo will do the job! These broad wristbands are supplied with a plastic closure. Very fast delivery time! If you order today, we will weave tomorrow and ship you order the day after tomorrow. The total length of a concert band is 33cm with 10cm blank space to left and right side.